The story of The Chasm is one of sheer determination to survive, pure dedication to their art and unflinching single mindedness in the fact of adversity. Not many bands can have experienced what The Chasm has and yet still manage to release, undaunted, so much quality, genuinely adventurous music. Where lesser bands have wilted, The Chasm have battled on, never once imagining a time when the Deathcult would be defeated. This is the story of survival, and a story about having the guts to stay true to your vision. The Chasm came to be in December 1992, in Mexico City. Daniel Corchado left his old band Cenotaph to embark on a dark journey: the procreation of an unique form of obscure and bizarre Metal of Death. Corchado carried with him the inspiration of the ancient masters: Celtic Frost, Slayer, Black Sabbath, Sacrifice, Destruction and the pure essence of traditional heavy metal plus an infusion of more contemporary acts like Carnage, Winter, Autopsy, early Mayhem, and Dismember. Within two months, 'Awaiting the Day of Liberation' was unleashed upon the masses. 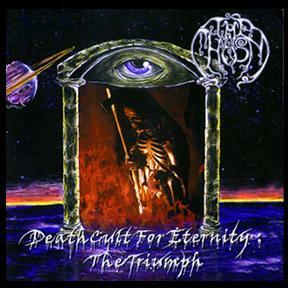 This demo sold 1500 copies worldwide and started the spread of the Necrocult plague. 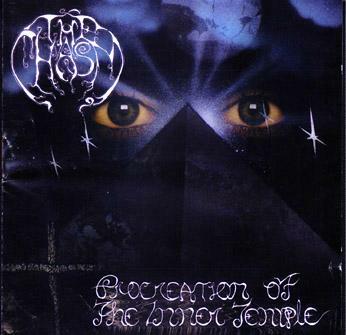 1994 marked the release of 'Procreation of the Inner Temple.' This full length CD unfortunately was doomed to only 1000 copies. Despite the primitive nature of the recording, '...Inner Temple' contained the most grotesque and experimental music the band had recorded to date. '...Inner Temple' has become a collector's item and a pivotal release for those who have since dared to enter The Chasm. Alas, the journey had only just begun. In 1995, the second full-length album and one of the most obscure to emerge from the Mexican scene was released. 'From the Lost Years' contained over 70 minutes of pure slow, grey and depressive Metal of Death. By this time, the feeling and intensity of The Chasm's creations had become totally familiar to the followers of the band. The style was refined and maintained, yet was becoming ever more and more advanced. 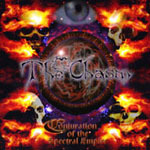 1997 marked the final year of The Chasm in their homeland. During the recording sessions for 'Deathcult for Eternity: The Triumph' several key decisions were made. The most vital for the health and continued improvement of The Chasm was relocation. But during this time, physical movement was not the only problem facing them. The release of 'Deathcult….' was delayed for over a year after the initial recording! Again, however, despite suffering from a primitive recording, once unleashed, it was hailed as a classic piece by the Metal underground. The ferocious power and utter intensity was stronger than ever. 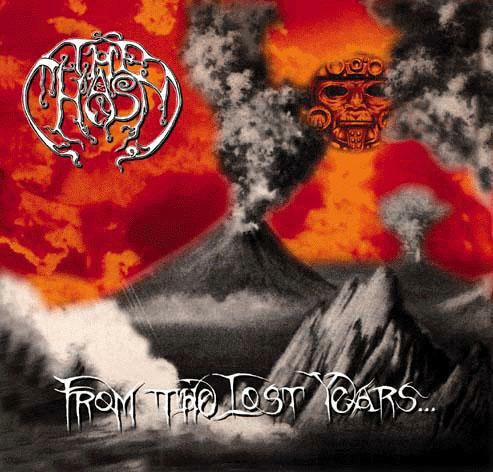 Those who witnessed The Chasm's first live US appearance at Milwaukee Metal fest XII (1998) felt the force of the Necrocultic attack -- ugly, extreme and dark Death Metal at its rawest and finest. After relocation to the United States, things temporarily turned for the worse. A big decision was made to look for a better deal/ label, and as a means of furthering this quest, the infamous 'Promo '99' was recorded and pressed just a few weeks before Milwaukee Metalfest XIII to aid in this quest. Several labels expressed interest, but in the end, Dwell Records won the contract. In this period only Dwell had the faith and believed in the music and the band. During the falling leaves and the bleak air of October 1999, the 'Procession to the Infraworld' recording began at Sheffield Studios (Sheffield, Indiana). The result? The band's most uncompromising, darkest and extreme creation with the new line-up, the unbridled fusion of the elements from a wide spectrum of Musical Metal Knowledge with daring variety and insane moods & atmospheres provided the listener with an impressive and chaotic experience while remaining authentic and refreshing. 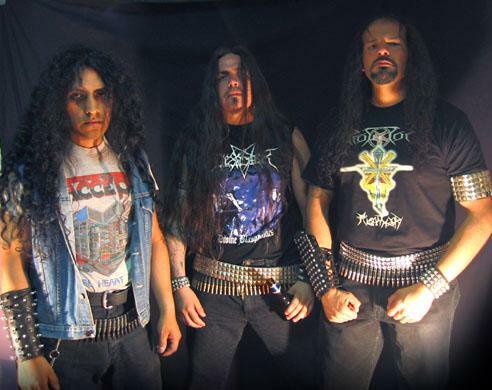 A key factor in the sonic aura of 'Procession...' was the 1998 addition of veteran deathmonger Julio Viterbo (ex-Cenotaph (Mexico), ex-Shub Niggurath) to the already deadly mix of original members Daniel Corchado and Antonio Leon (percussive devastation). Early in 1999, The Chasm welcomed their new warrior, bassist Alfonso Polo (ex-Allusion). Throughout all this time, The Chasm had established themselves as a strong force in the live circuit. They shared the stage with bands such as: Therion, Suffocation, Morbid Angel, Nile, Disgorge, Unleashed, Rotting Christ, Scepter, Thornspawn,Cianide, Bloodstorm, Black Witchery, Mayhem to name a few; in addition to several appearances in the American Metalfest series (Texas, New Jersey, and Milwaukee). In August 2001, the decision was made: Lux Inframundis Productions was created by Corchado with only one simple and important purpose: releasing The Chasm's upcoming attack 'Reaching the Veil of Death', completely produced by The Chasm. Recorded by Corchado at the bands headquarters and at Lux Inframundis Studios this short but deadly new evocation quickly became a Dark and Devastating inspiration for those involved with the Chasmcult. Without any kind of support from any label the band had shown once again the most important point of their Cult and it must be emphasized: The Chasm's motivation for creating such extreme music comes directly from mind and soul. They follow their instincts and feelings, not caring about any trend. The utter anxiety to reach the portal to the other side is THE core concept of this Deathcult. In March 2003 Alfonso Polo decided to leave the band, with this change the band decided to stay at their main core as a 3 piece force, with no replacement added. In stepped Earache imprint Wicked World to reward the eternal persistence and daring of The Chasm by signing the band in July 2003. 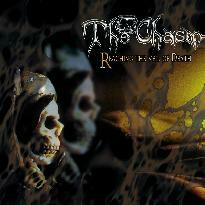 Now the future plans are focused in 2003-04, to the creation of the New Hymns of Death and the continuing, single minded epic vision that is The Chasm. 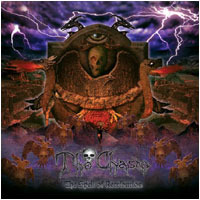 Chapter #8, "The Spell of Retribution", was released in Nov. 2004 via Wicked World, marking the beginning of a new era for the band, this prompted THE CHASM to focus in getting as many shows as possible to promote the spell, and in the end, 2005 became the busiest year of the band in the live circuit, starting the year with their first US tour ever, with the help of Roberto Lizarrage (Infinitum Obscure), Alfonso Polo and George Velaetis (Darkness Eternal) in the 4 string attack duties. After the band returned from this journey Viterbo was diagnosed with kidney failure, dramatically changing the plans and perspective of THE CHASM in the touring area, since then the band has been fully concentrated in creating destructive music with the strong idea of being more than ever a studio band, with only scarce live appearances planned in the future. THE CHASM is more than ever facing the challenge, but the vision continues to evolve in darkened ways. Chapter #9 is planned for a 2007 release.